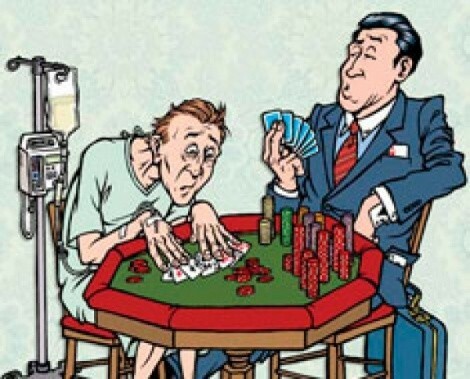 Patients come out losers as IHC malpractice lawyers deal a tough hand. The bad news, Leilani Wilson’s doctor informed her in 1995, was that her son would likely be born prematurely. On top of that, Wilson’s low amniotic-fluid levels meant there was a risk of an infection in her womb. The good news was that the facility Wilson came to, Intermountain Healthcare’s Utah Valley Regional Medical Center in Orem, had an excellent track record for safely delivering premature babies. The doctor said that he would monitor Wilson for infection and perform a cesarean section, if warranted, since a vaginal delivery could be traumatic to her child. Then, Wilson said, he left on vacation. Under the watch of the doctor filling in for her regular physician, Wilson’s child ended up being born vaginally in the breech position and was grossly infected. Jared, her first son, was no more than the length of a dollar bill. Today, 15 years later, he struggles with permanent physical and mental disabilities. Mistakes happen in every profession and in every workplace—even with doctors who have devoted decades to the study and practice of medicine, and even in state-of-theart hospitals. But what troubles Wilson’s attorneys isn’t simply allegations of hospital screwups, but allegations of hospital coverups. Attorneys for Leilani Wilson and her husband, Jerome, claim Intermountain Healthcare used its heft as Utah’s nonprofit hospital juggernaught to intimidate doctors who contracted with Intermountain to change their testimony related to Leilani’s care, forcing them to serve the hand that writes their paychecks before the patients to whom they’ve sworn the Hippocratic oath. Ten years ago, a study by the Institute of Medicine estimated the number of preventable medical fatalities in the United States to be between 40,000 and 100,000 annually. An August 2009 report by Hearst publications estimates that number has grown to nearly 200,000 (see DeadByMistake.com). Some say this body count can be attributed, in part, to slipping standards in a health-care system where negligent care is swept under the rug by adept hospital lawyers. In Utah, a number of attorneys worry that Intermountain’s tactics go too far in squashing legitimate claims. “The cost is so negligible for defendants [like Intermountain] that it’s in their best interest to do a scorched-earth defense and hope that the plaintiff just dies or gives up,” says attorney Kevin Sheff, who is currently facing Intermountain in a medical-malpractice case. He says it took years to pry loose documents from IHC that showed his client nearly died on the operating table. In the malpractice game, patients who dare go “all in” against the deep pockets of Intermountain face putting everything on the table: thousands of dollars in legal costs and more in lost time away from their work, plus years of their life consumed by agonizingly slow court proceedings. But for Intermountain, fighting long court battles hardly puts a dent in its chip stack. The most recently available 990 tax returns for IHC Health Services from 2007 show the hospital chain burning through more than $2.8 billion in expenses that year, of which only $7.9 million—less than 1 percent—was spent on legal fees. The Wilsons know how brutal such litigation can be. They waited through 10 years of hearings and motions on behalf of their permanently disabled son Jared only to lose the case. Now, the Utah Supreme Court has agreed to hear an appeal for the Wilsons, based in part on allegations of unfair tactics on the part of Intermountain attorneys. Still, almost a year after their trial, the couple remains in shock over losing the verdict. After a decade spent fighting the case on behalf of their son, Jerome and Leilani Wilson have become semi-fluent in both medicalese and legalese. They cite obscure Utah Supreme Court rulings like Barbuto v. Sorenson, a precedent-setting case that prohibits adversarial lawyers from meeting with a patient’s doctor without their consent, like it was common knowledge. Or terms like “interventricular hemorrhaging” when talking about the damage in Jared’s brain that required the installation of a shunt, inserted into his brain that siphons off spinal fluid through a tube that runs from above the right ear into his abdomen—as if it were something all parents deal with. Jerome holds his wife’s hand over her knee at their kitchen table, talking with a distracted smile. Leilani is mostly quiet as she keeps a tissue wrapped neatly around her index finger. When a reporter asks how it all started, the couple quickly looks at each other with a short laugh, as if asking about the beginning of Jared’s life was a trick question. In 1995, when the Wilsons learned that their unborn son might be born prematurely, their doctor allegedly told them a traditional delivery should be avoided since the vaginal walls would put too much pressure on the baby’s brain. The couple trusted this advice—but then, the Wilsons say, the doctor went on vacation. The Wilsons say that when Leilani went into labor, the new care providers, instead of performing the recommended cesarean-section delivery, allowed Jared to be delivered vaginally. “Rather quickly, Jared was born breech at the hands of a doctor we had never met before,” Jerome says. “He was covered in this thick, foul-smelling, stuff. Everything they said wasn’t supposed to be happening was happening. In fact, the doctor who delivered him repeated over and over again: ‘grossly infected.’” As a result of the negligent care the Wilsons claim Leilani received at the Intermountain facility, Jared now suffers numerous ailments. At the time of the trial, Leilani started her morning routine with Jared much the way she did when he was a newborn, carrying the child to the bath, changing his diaper and preparing baby bottles with liquid meal supplements— the difference being he now weighs more than 120 pounds. Still, the Wilsons pride themselves on caring for Jared, boasting of having taught Jared how to ingest liquids so as to avoid having a feeding tube installed directly into his stomach. “We were successful so, for now, he drinks from a bottle. But we’re hoping to transition to something more macho like a sippy cup,” Jerome says with a chuckle. The Wilsons filed their malpractice case in the Utah County 4th District Court in 1998, only to lose to Intermountain in November 2008. Intermountain attorneys Joann Carnahan Bott and Charles Dahlquist II argued that the mental disabilities Jared Wilson suffered was a congenital condition, not the result of poorly treated infection, and that the medical care was proper. The Wilsons’ attorneys, Roger Christensen and Joseph Steele, have taken their appeal to the Supreme Court, claiming the previous trial verdict should be overturned due to questionable tactics used by Intermountain’s contract attorneys. One allegation of several they allege (see other examples of malpractice tactics at CityWeekly.net) was that attorneys for Intermountain violated legal principles recognized in the 2006 Utah Court of Appeals case of Barbuto v. Sorensen, principles which were subsequently upheld by the Utah Supreme Court in 2008. The Barbuto decision makes it clear that communications between a former or current treating physician and legal counsel opposing a patient in court are prohibited. The only way the parties can communicate is using traditional courtauthorized discovery methods where all parties may participate. Attorneys claim hefty Intermountain charitable contributions influenced witnesses at trial. In the 2008 Wilson v. Intermountain Healthcare trial, attorneys for 15-year-old Jared Wilson claimed he was permanently handicapped by the negligent care during his birth at Intermountain’s Utah Valley Regional Medical Center. The attorneys knew that with so many local physicians employed by an Intermountain Hospital, they would have to shop around for an expert witness from out of state to help analyze the medical evidence of the case. They hoped one of those witnesses would be Robert Marshall, not realizing Marshall’s wife could present a conflict of interest. For years prior to the Wilson trial, expert witness Marshall had planned to testify on behalf of Jared Wilson, according to the Wilsons’ attorneys. He never made it to the stand, however, and went on to repudiate earlier affidavits he had given supporting the evidence that Jared suffered from substandard care. While Marshall did not speak, his words were read to the courtroom in the Wilsons’ trial in the form of a letter addressed to the Wilsons’ attorneys. He described how he had struggled with his participation in the case, given a very personal conflict: His wife, Elaine, a dean of nursing at Brigham Young University, was a member of Intermountain’s board of trustees. Daily Herald reporter Niels Nokkentved wrote about Robert Marshall’s conflict in April 2005 after discovering Robert’s first affidavit in a records request from the 4th District Court. In that affidavit, Robert asserted that he had been told by his wife that an Intermountain risk manager had warned her about economic impacts for the nursing school based on her husband’s involvement in the case. Nokkentved noted in his articles that that same year, BYU’s nursing schooled received $800,000 from Intermountain—its largest donation from the hospital chain. Nokkentved covered the developments in the case until July 2005 when the court agreed to Intermountain’s request for a gag order on discovery regarding the possible conflict between the Marshalls and Intermountain. 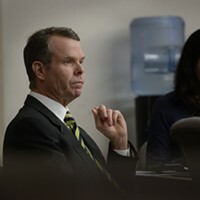 At the Wilsons’ trial, the judge allowed into evidence the testimony of Leilani’s physician even though he—unbeknownst to the Wilsons—had met privately with Intermountain attorneys. The testimony was allowed because the meetings had taken place in 2003—before the first Barbuto decision in 2006. During the Wilsons’ trial, only one physician’s testimony was not allowed, and this was because he had been contacted by Intermountain while the trial was in progress. Intermountain’s senior counsel David Erickson says previous law allowed “physicians to give interviews and reports” to the other side’s attorneys. And a 1999 Utah Bar ethics opinion said it was OK for lawyers to interview treating physicians, although that opinion was overturned by the Supreme Court’s 2008 Barbuto decision. Christensen says, however, the Barbuto decisions simply made official what had always been illegal in common law before. The Wilsons’ attorneys argued such meetings put pressure on doctors to change their testimony because Intermountain is a predominant health-care provider in the region. In February 2003, Richard Boyer, a pediatric neuroradiologist who contracted with Intermountain, examined Jared’s brain scan and diagnosed periventricular leukomalacia, according to court documents. Boyer admitted under oath in the November 2008 trial that the condition was potentially consistent with the Wilsons’ interpretation of the case— that the injury was from the effects of an untreated infection. At the time of this first report, Boyer testified he was unaware that the Wilsons were suing Intermountain. He also admitted that three months later, on April 9, 2003, and on the same day he met with Intermountain attorney Bott and an Intermountain risk manager, he read the scan again and decided to modify his February report and add an “addendum,” which allowed for other possible interpretations including Intermountain’s argument that Jared’s condition was genetic. Christensen went on to cite Boyer’s conclusion to his addendum that “there is no need to implicate other causes of brain injury such as infection, neoplasm or external trauma”—this disclaimer now specifically refuting the Wilsons’ claim that Jared’s brain damage was the result of exposure to infection or improper care.